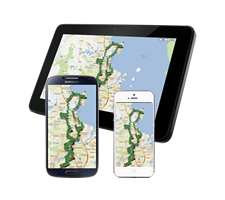 One of the most requested features from users of our GPS Fleet Management and GPS Fleet Tracking System is the ability to find, locate, monitor and view vehicle movements, positions and locations on a mobile devices such as a phone, tablet or netbook, thru either an app or a mobile friendly interface. People that use Mobile devices to access information have a different set of requirements than those that use a desktop computer. With this in mind, we are confident that we provide solutions that meet and exceed the requirements of our customers needs and wants in the most user-friendly way. We here at Go GPS will make sure that your GPS Tracking Solution suits your every need.